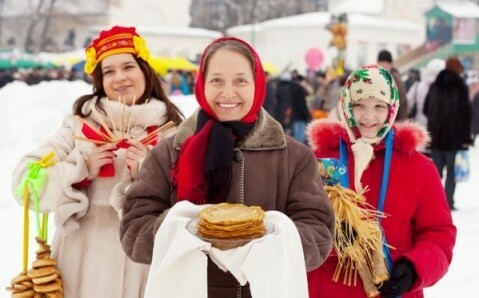 From March 11 to 17, mass folk festivities, devoted to Maslenitsa (Pancake week), will be held in all Ukrainian cities. It is country’s most picturesque and cheerful holiday, which is traditionally accompanied by songs, dances and large-scale feasts. This vivid one-week holiday is known since pagan times: in old times it symbolized winter send-off and spring welcome. During a week, people said good-bye to winter, organizing mass festivities with all thinkable funs, and performed ceremonies, ensuring fertility. The holiday always ended with burning a straw effigy of winter, which symbolized destruction of the old outdated world and making place for a new one. Somewhat later, with establishment of Christianity in the Rus, eastern Slavs renamed the holiday as Maslenitsa (literally: ‘of butter’). The reason for this was that the Christians were not allowed to eat meat in the last week before Lent, which co-occurred with pagan ceremony of winter send-off and spring welcome, but there was no ban on eggs and dairy products, including butter. 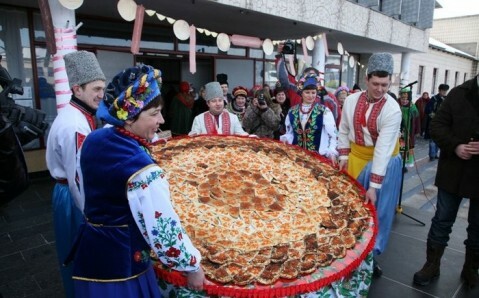 For the same reason the main Maslenitsa’s food are pancakes: they are made and eaten during seven days. Ukrainians organize feasts with tasty dishes and drinks, visit relatives, friends and acquaintances during the whole week. 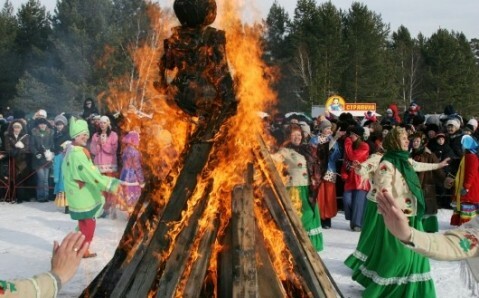 Holiday’s climax falls on Sunday, which is the last day of the Maslenitsa cycle. On this day the most large-scale folk festivities take place and the main rite is held: burning down a straw effigy of winter. Maslenitsa is one of the Ukrainians’ favorite folk holidays, and therefore, it is yearly celebrated in all corners of the country in a big way. This year the brightest and the most spectacular Maslenitsa events will be traditionally held in Kyiv. On March 16 – 17, the culinary festival Nova Maslyana will take place in the Expoсenter of Ukraine (ENEA). It’ll include multitude of master classes from professional chefs, performances of the best Ukrainian folklore bands, eating more than one hundred kinds of pancakes and, of course, burning a straw effigy of winter. The Pirogovo outdoor Museum of Folk Architecture and Life will also host vivid folk festivities. If the weather will be fine, sledging, snowball fights and other folk funs will be held. And, of course, there will be a mandatory pancake feast. 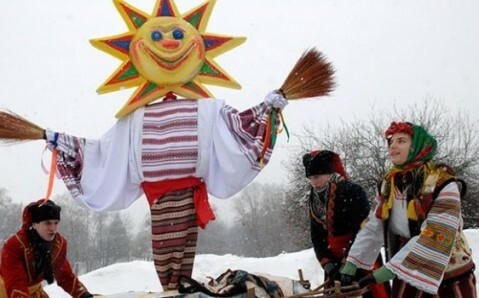 Spectacular celebration of Maslenitsa is also planned in outdoor museum Mamajeva Sloboda. 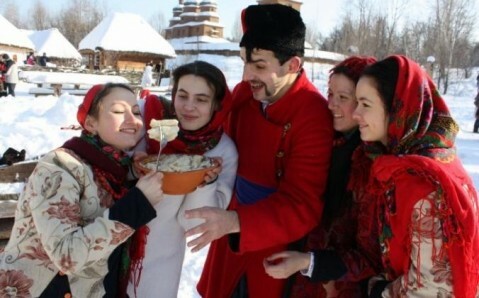 Traditional festivities will be flavored by genuine Cossack specialties. For instance, the guests will be treated with cottage cheese dumplings (Ukrainian Cossacks’ main Maslenitsa dish), instead of pancakes. In addition, the festivities will be held in the Culture and History Center ‘Park Kyivan Rus,’ situated near Kyiv. In this unique place, recreating the setting and atmosphere of the Old Rus, Maslenitsa will be celebrated according to old traditions and ceremonies. Anyway, wherever you decide to celebrate Maslenitsa, you will surely get bright vivid impressions, positive emotions and tasty treats.